NK was founded in 2006 in Vaxholm on the Swedish east coast, by Fredrik Lindström and Peter Bringby. 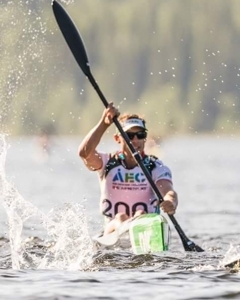 Disappointed with the multisport kayaks commercially available at the time, they set about designing and hand shapingtheir own, building on extensive experience of all kinds of fast kayaks since the mid 90s, from Olympics K1s to multisport kayaks and surfskis. Fredrik Lindström FounderThe result was the Rocket – an all out, no holds barred allround multisport racer that pushed the envelope – and at the same time indicated a path to even more efficient hull shapes and even better interaction with the paddler in the future..
To meet this potential and make full use of the knowledge and experience gained during the first years, a team of hydrodynamic experts, CAD-engineers, graphic designers and elite paddlers was put together to lay out the basic specs for a long term cooperation in developing a new line of very fast and efficient surfskis. First out were the well-known and innovative Fusion and Rapido, later succeeded by Nitro, Storm, Squall and Exrcize. Now we can proudly offer a complete range of surfskis from elite to beginner models, for small and for large, making sure there is an NK model that shall suits everybodys needs.